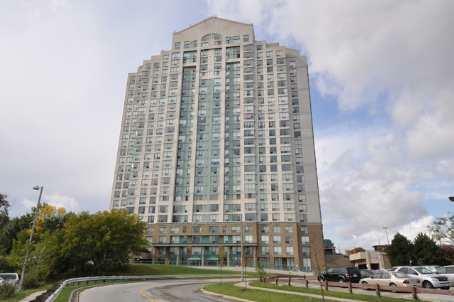 Kingsgate condominium is located at 101 Subway Crescent in Etobicoke. This condominium was built in 1992 and is conveniently situated walking distance from Kipling subway station. Kingsgate condominium is exception value in Etobicoke. Kingsgate features large one, two bedroom suites and two and three bedroom penthouses. With exception of top floor penthouses which have terrace and main floor suites which have patio all other suites have solarium and no balcony. Two bedroom suites are over 1200 sq.ft in size. South East suites have beautiful unobstructed view of downtown Toronto. Kings gate penthouses are large. Two bedroom penthouses are over 1500 sq.ft in size. The largest penthouses have two floors and they are over 2500 sq.ft in size. Many suites are renovated. Suites and penthouses are sold with five appliances and and mostly with a locker and minimum one parking. Amenities are : car wash, concierge, exercise room indoor pool party/meeting room, security guard, game room, visitor parking and sauna. Condo fees include: heat, hydro, building insurance, maintenance of common elements, water, central air condition and parking.